Students are never too young to begin immersing themselves in the language of William Shakespeare. Will's Words: How William Shakespeare Changed the Way You Talk, is a wonderful place to start. 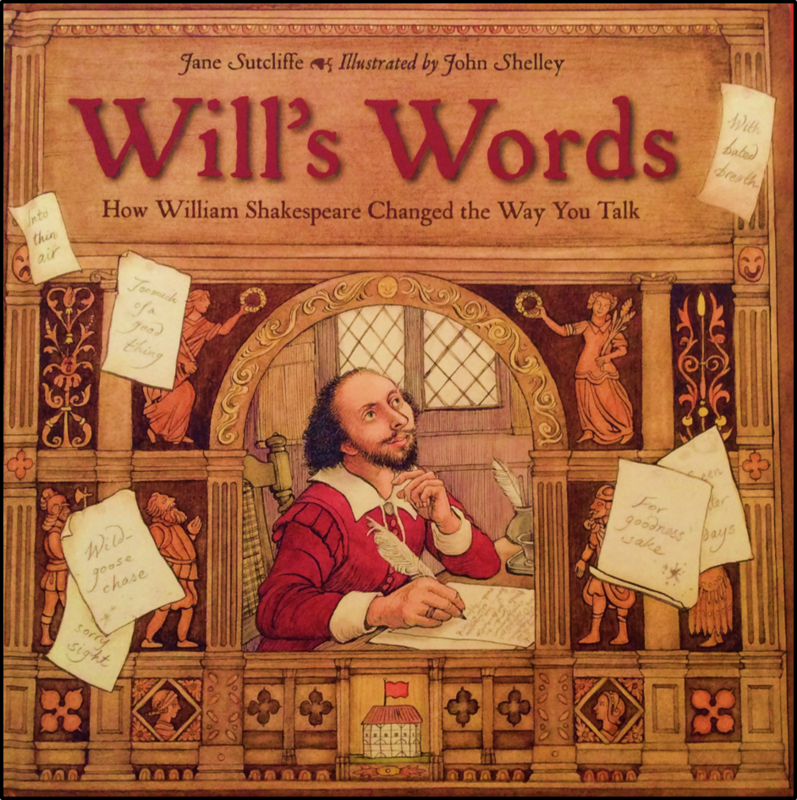 Author Jane Sutcliffe and illustrator John Shelley takes us on a tour of 1600's London and its thriving theater culture, while at the same time pointing out many now-common words and phrases that originated from the quill of William Shakespeare. The tour consists of backstage glimpses and onstage antics, while at the same time describing the scope of Shakespeare's work and his audience's reaction toward it. Students will love the images which are all-encompassing and minutely detailed at the same time. Your kids will leaf through this book again and again, searching out the secrets that John Shelley has so cleverly and humorously included in the illustrations. We know that Shakespeare used words like no other writer before or since. The man had an amazing ear for words. 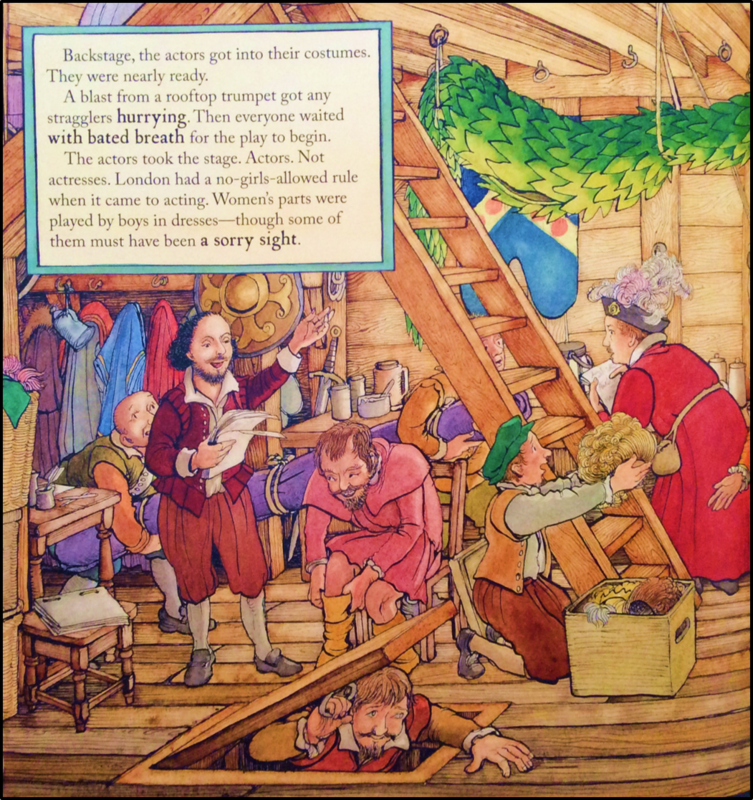 At a time when the English language was changing rapidly, he noticed words in playhouses and taverns, and on London street corners. Then he put them in his plays and poems. Sometimes he was the first to write down a new word. Sometimes he seems to have made up his own. He put all those words together in extraordinary, ingenious ways. Regardless of which activities you choose to try from below, I highly recommend Will's Words as a starting point, no matter what grade level! But Keith... What if I don't know a lot about Shakespeare and his works? What if I hated Shakespeare when I was a student? For most of us in school, Shakespeare’s works were a "literary enema..." (but) he’s the world’s most famous author for good reason. No writer, not Homer, not Dante, not Cervantes, not J.K. Rowling, rivals him in terms of his art and influence. His characters have become part of our mental landscape... And how about his words? Shakespeare wrote 884,000 of them, credited with being the first to use or inventing more than two thousand of them. So how can we explore poetry and language in the true spirit of Shakespeare? I've provided a few ideas below. Curious as a cricket, happy as a lark, slow as a snail. See where this is going? Students enjoy creating simple similes, and their vast store of animal knowledge makes these comparisons easy. 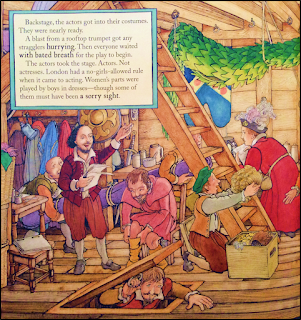 A wonderful mentor text for this activity is Shakespeare's Zoo (Volume 1) by Laudea Martin. It was "a very old and well-loved boxed set of the complete works of William Shakespeare, which once belonged to Laudea's great grandmother... that sparked her interest in the richness of Shakespeare's written words." The author soon discovered that in many of Shakespeare's works, both famous and obscure, the Bard employed animal imagery to paint perfect pictures of human passions and pratfalls. Shakespeare's brilliance shines through, not just in his most famous lines, but in every line. The tiniest snippet of his work contains fantastic wordplay and depth of imagery. This book takes some of his less-known bits about various animals and pairs them with Laudea Martin's unique illustrations assembled from textured layers. And, like all Shakespeare, each page will become easier to understand the more you read it. The brilliant words of Shakespeare are meant to be heard, not seen, so read the words aloud and listen to the rhythm. Read them again and again, and let your imagination fill in the details of the scene. Students can search out favorite animals using the concordance at OpenSourceShakespeare. They can illustrate the lines they find, or possibly even add to them. Students can create biographical poems by first selecting adjectives that they feel describe them (pretty, busy, fast, etc.) and then selecting animals that match those adjectives. Students can pair the adjectives and animals in simile form, such as, "I snore like a lion when I'm really, really tired," and "I'm busy as a beaver every day when I get home." Creating a flip book is a fantastic way to show off and illustrate the comparisons described above, and the sizes of the books can vary from tiny to huge. Collect a pile of animal poem books and let students browse them and share their favorites. Then offer trade books or an assortment of animal pictures, and ask students to write a simile poem inspired by a favorite critter, perhaps using iambic pentameter to create it. 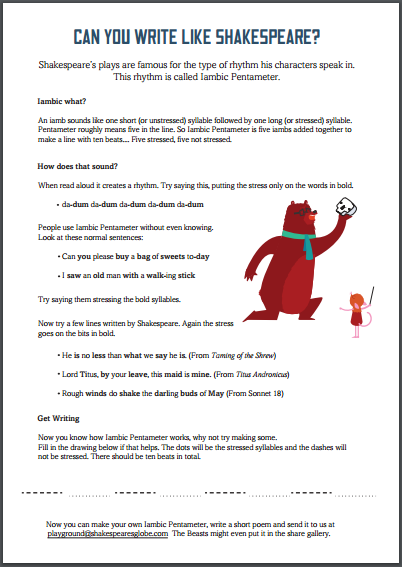 The TED Ed lesson on Why Shakespeare Loved Iambic Pentameter is a fun and effective introduction to this poetry form, or use this kid friendly handout (see image to the right) from Shakespeare's Globe Theatre. 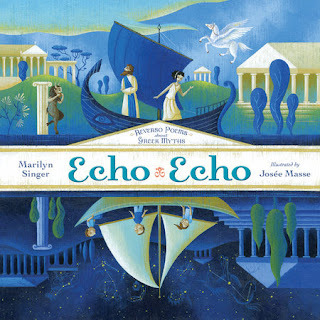 In Echo Echo, Marilyn Singer retells Greek myths via reverso poems, poems that can be read both backward and forward, typically revealing new meanings each time. "When read from top to bottom, each poem tells a well-known story from a world of heroes and monsters. When read in reverse, however, the very same words convey a whole new point of view!" (from the book flap) Illustrator Josée Masse creates dramatically saturated pictures which truly complement the duality of the poems. When reading these aloud, be sure to assign each poem to a different reader, and see where the words lead you. After viewing a live production of a Shakespeare play, challenge students to write a reverso poem on any one of the play's characters. 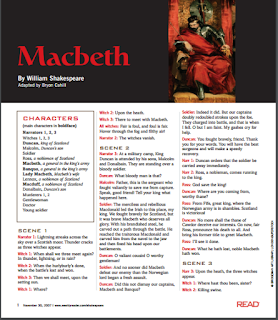 Have a script handy, as students may want to include snippets of a character's lines in their poem. Older students might enjoy reading Jonathan Reed's The Lost Generation, arguably the most well-known reverso poem. Genius.com does a painstakingly thorough job of breaking down this poem. After discussion, challenge students to write their own reverso poems using characters from popular culture, contemporary novels, and, of course, Shakespearean plays. After studying animals for a research project, students can use that same animal as the subject of a reverso poem. In my class, I purposely assigned students those animals traditionally considered pests. As the poem is read forward, the lines recount the pest's nasty reputation, but read backward, the lines vindicate the pest for what good it may do. This Slides presentation offers a template, plus two examples. For this activity, I show my students actor Matthew Macfadyen's version of Sonnet 29. Upon first playing, however, I leave the volume off. I then ask students to interpret what took place. I then play it again, with the volume up, and again ask students to interpret, first verbally, and then by rewriting the sonnet in their own words. Have students write their own sonnet based on Sonnet 29. They can write it from one character to another (using a recent novel or play for inspiration), or they can write it to someone who has been meaningful in their life. This Google Slides presentation includes examples of both. Feel free to copy and adapt this for your own uses. A similar exercise could be done with Sonnet 18 (Shall I compare thee to a summer’s day?...) which is likely more familiar to students. (Both Sonnet 29 and 18 can be found here in a printable version.) If you want students to examine this in more detail before writing on their own, check out this annotated version. Depending upon your students' tech sophistication, they may like the idea of putting sonnets to film. In this version of Sonnet 18, the poem is read by Peter O'Toole, the film footage is sourced from "No Country for Old Men" and "The American," and music is by James Newton Howard. Students are familiar with such mash-ups, and they might enjoy a similar challenge. If needed, begin with a more contemporary sonnet that uses familiar language. This lesson plan from the Folger Library using Edna St. Vincent Millay's "What lips my lips have kissed, and where, and why" provides a comfortable starting place. When I taught fourth grade, I overheard one student complaining that Spanish class was aggronizing. “Is that a real word?” I asked. He replied that of course it was, since it combined agonizing and aggravating! Just a week or two later, one of my students paused by the door before leaving. “Is something wrong?” I asked. “Yeah, it’s a portmanteau I invented. It’s when you get trampled by a stampede. You can use it if you want.” And off she went. It's true that Shakespeare coined many new words and recorded many others for the first time, but students are often surprised to discover that new words are entering our lexicon all the time. Sometimes students are even inventing their own! Language isn't static; like any other discipline, it continues to evolve. Hardworking word-lovers everywhere can now learn the meaning of the word staycation ("a vacation spent at home or nearby") along with nearly 100 other new words and senses added to Merriam-Webster's Collegiate Dictionary, Eleventh Edition. 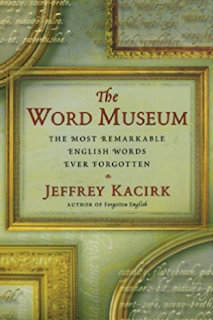 America's best-selling dictionary offers its new 2009 entries in its updated print edition and online at Merriam-Webster.com. "Our language evolves in many ways," said John Morse, president and publisher of Merriam-Webster Inc. "As we've seen from our Open Dictionary feature on Merriam-Webster.com, people enjoy blending existing words, like combining 'stay' and 'vacation' to make staycation. Staycation is a good example of a word meeting a need and establishing itself in the language very quickly. Our earliest record of use is from 2005, but it seems to have exploded into popular use in 2007." Many of Shakespeare's original words are simple compounds, such as bedroom, bloodstained, and moonbeam. Give students time to play around with their own original compound creations. Allow students to create portmanteau words to express those ideas for which no words exist. A portmanteau word is two words "jammed" together to make a new one, such as smog, staycation, emoticon, administrivia, and brunch. It differs from a compound word (where no letters are lost) and a contraction (where an apostrophe denotes removed letters). Start off by giving students a list of portmanteaus to dissect, and then allow them to create their own. Challenge students to define some of the latest entries to Word Spy, The Word Lover's Guide to New Words. Word Spy is a wonderful resource for neologisms, or newly coined words. Wordspy takes on a recent word such as vegangelical and not only defines and parses it (n. An extremely zealous vegan who is eager to make other people believe in and convert to veganism; blend of vegan and evangelical) but also traces it to its earliest citation (in this case, to the blog The Smoking Vegans in 2005). Wordspy is a fun site to browse, and readers are welcome to comment on entries and suggest new words as well. Its biggest strength is that it offers citations for all the words it lists. It isn't entirely G rated, however, so it's best left to the teacher to explore. Ask the question, "Just because someone uses a word, does it become a word?" To put it another way, "Are all neologisms created equal?" Sure, Shakespeare, Dr. Seuss, and Lewis Carroll coined words all the time, but do the rest of us carry enough clout to do the same? In his TED Talk titled "How NOT to Hate Shakespeare," educator/actor Rob Crisel asks the audience, "Were his plays meant to be read silently or aloud?” and then answers, “Trick question; his plays weren’t meant to be read at all; they were meant to be heard, and watched, and acted. They were meant to be experienced.” He likens most students' classroom experiences with Shakespeare to "trying to appreciate a musician by studying their lyrics, but never hearing their songs." 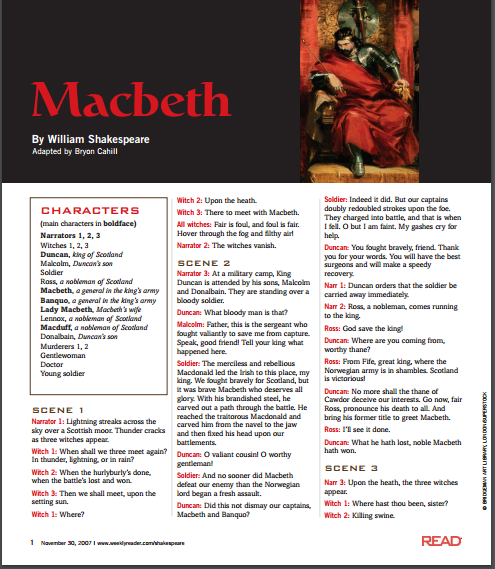 If you think your students may struggle with original versions of Shakespeare, or if you face time constraints, dozens of adapted scripts are readily available online, such as the Macbeth adaptation pictured here. Whenever possible, use the full scripts. 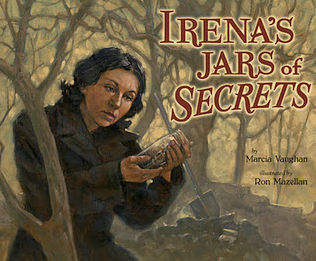 In the same way that we do Close Reading with other texts, do Close Acting with selected passages. If students struggle, consider using excerpts from films that portray actors speaking the lines in context. If students plan to act out lines written in iambic pentameter, then definitely check out this lesson on Living Iambic Pentameter. If your students struggle with full texts of Shakespeare's plays, use a resource such as Shakespeare with Children: Six Scripts for Young Players that uses original lines from the plays, but in shorter, abridged versions. These can be performed successfully in the classroom as readers' theater if time doesn't allow for students to memorize lines. 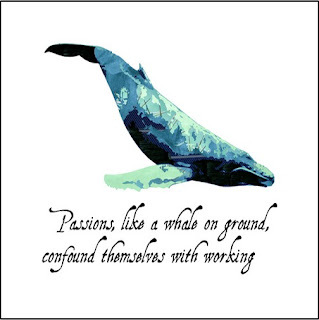 Challenge students to use soliloquys or scenes in an original interpretation. This Levi's 501 commercial, for example, uses line from Midsummer Night's Dream Act 3 Scene 1 in an innovative way. I too possess the things for which thou yearn’st. should not be injur’d fast when thou return’st. my wish is not to leave my lover spurn’d. I should be shown the deep regard I’ve earn’d. but so’s the gold that doth my coffers ﬁll. thee to be shown a shred of thy good will. when thou com’st home, pray show me some respect. where patrons’ pipes burn long and minstrels play. the other’s smile inviting each to stay. the sweet companion that shall make them whole. ’tis most important thou dost e’er believe. As a warm-up to each class, post one of Erik Didriksen's sonnets on the whiteboard. Challenge students, perhaps working in pairs or groups, to identify the modern song which inspired it. 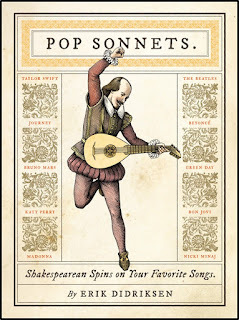 Challenge students to rewrite their own favorite songs in the form of a sonnet. 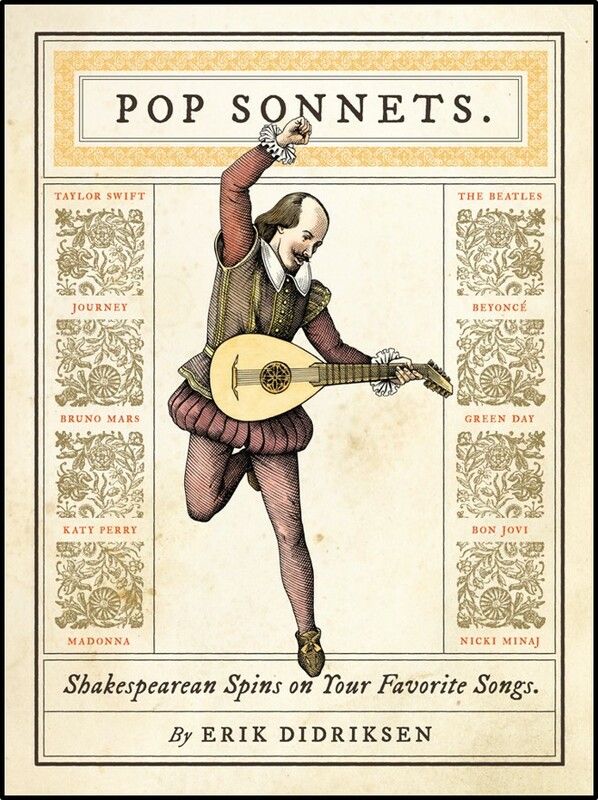 Use the TED Ed lesson on Why Shakespeare Loved Iambic Pentameter and the handout Writing Like Shakespeare (iambic pentameter) to get students feeling the rhythm of the sonnets rather than the rhythm of the song they've chosen. Check out the ideas for Hip Hop or Shakespeare below. The English language, as the largest and most dynamic collection of words and phrases ever assembled, continues to expand, absorbing hundreds of words annually into its official and unofficial rolls, but not without a simultaneous yet imperceptible sacrifice of terms along the way. Fortunately, before they're quiet disappearance, many of these reflections of antiquity, the remnants of History which casually escaped the Shipwreck of time, to use a phrase of Francis Bacon, were recorded in a variety of published and unpublished writings, including dictionaries and glossaries. In my schooling, I found that teachers and historians, because of their socially prescribed curricular attention toward larger social concepts, often bypass the smaller and more personal expressions of social custom and conduct, often leaving the novel as the best lens with which to view forgotten elements of everyday life… Specifically, my bias has been in favor of expressions that not only offer insights into the nature of our living language but simultaneously illustrate telltale beliefs and customs. Some words, like anywhen (meaning at any time), make perfect sense when compared with a surviving relative like anywhere. We still use the expression "out of earshot," but we've abandoned the equally useful words armshot and eyeshot to describe relative distances. Then we find words which make perfect sense when broken into Greek and Latin roots, such as biblioklept (a book thief), ambidexter (one who plays both sides, usually unethically as in a court case), and noctuary (an account of what passes during the night, such as Mark Haddon's The Curious Incident of the Dog in the Night-Time). Other words, such as gazingstock (an object of public notice, contempt, and abhorrence), seem to simply be compounds which have been forgotten. In ancient Greece, prominent citizens whose power or influence threatened the stability of the state could be exiled by a practice called ostracism. Voters would elect to banish another citizen by writing that citizen's name down on a potsherd (a piece of broken pottery). Those receiving enough votes would then be subject to temporary exile from the state (usually for ten years). The English verb ostracize can mean "to exile by the ancient method of ostracism," but these days it usually refers to the general exclusion of one person from a group at the agreement of its members. Ostracism and ostracize derive from the Greek ostrakizein ("to banish by voting with potsherds"). Its ancestor, the Greek ostrakon ("shell" or "potsherd"), also helped to give English the word oyster. 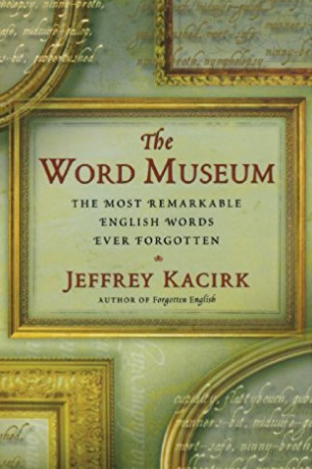 As a daily challenge, list one of the words from The Word Museum on the board, and offer up three definitions. Let students defend their choices before the "big reveal." In many cases, students are likely to have very convincing arguments for their decisions. Similarly, list three entirely fictional words and one from the book. See if students can guess which word really existed. Before the "big reveal," you can additionally provide a context sentence with a blank left for the real word. The sentence may provide enough context for students to not only choose the correct, genuine word, but also to ferret out its meaning. Have students research those words that Shakespeare coined or recorded for the first time that didn't catch on. Have students report back with their own hypotheses of why these words were forgotten when other original words weren't. 8. Hip Hop or Shakespeare? Award-winning hip hop artist Akala challenges audience members at a TED Talk to decide whether a line he shares is Hip Hop or Shakespeare. More difficult than you'd imagine! The first four minutes shows this challenge, but the remainder of the video is worth a watch. Provide students with a similar list of lines, and see how they fare. 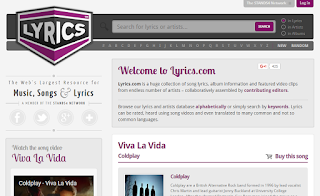 Lyrics.com is a straight-forward, ad-free site which allows you to easily search lyrics by most popular searches, artist, keyword, and more. Many songs are accompanied by the music video which can play in a small screen to the left. Also cool is that each page includes a bibliographic citation at the bottom! Even better, challenge your students to stump one another with the Hip Hop or Shakespeare challenge. They can likewise use Lyrics.com and OpenSourceShakespeare to search up lines. Bonus points to those who can name the song or artist of the non-Shakespearean lines. I'm not sure how I feel about encouraging elementary aged students to insult each other, but for upper middle schoolers and high schoolers this could be lots of fun. I would likely start with the video If Shakespearean Insults Were Used Today, the source material for which can be found here. Direct students to complete this TED Ed lesson on Insults by Shakespeare. Good intro activity. As a sponge activity, allow students to use this Shakespeare Insult Generator (printable pdf) from Shakespeare for Kids, (where you can also find fifteen minute plays from Shakespeare). 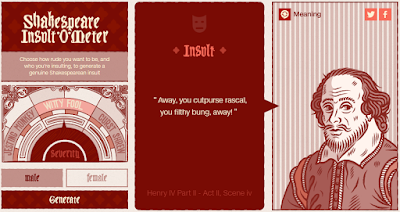 For fun, let students try an interactive insult generator, such as the Shakespeare Insult-O-Meter. This allows you to specify male or female, and the resulting authentic insult is displayed with the play from which it originates, as well as its literal meaning. Challenge students to replace all school inappropriate words they've been using with some of these new phrases for at least a week's time. Check in to hear the results. 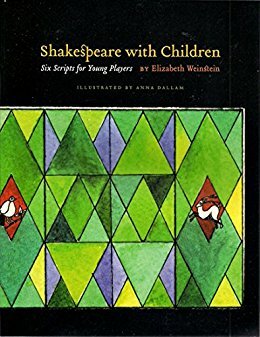 Looking for an all-around excellent resource for teaching this Shakespeare stuff? 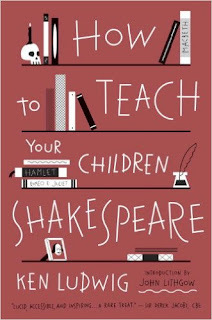 Try How to Teach Your Children Shakespeare by Ken Ludwig. 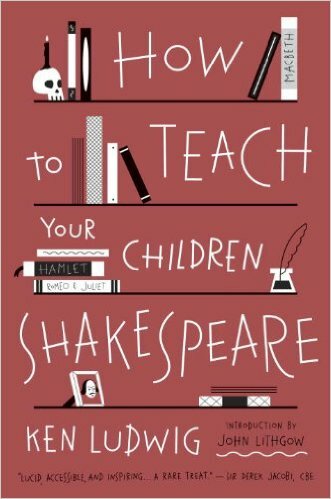 Excellent for parents, home schoolers, and teachers who want to raise the bar for what children can learn from the Bard. Simple list of words coined by Shakespeare. Simple list of phrases coined by Shakespeare. 135 Phrases Coined by William Shakespeare, with meanings and origins. From TED Ed, Shakespearean Dating Tips. Shakespeare on Love, an infographic. The Horrible Histories William Shakespeare Song, containing many of the phrases he coined. Could be just for fun. The Horrible Histories - Shakespeare Goes to School video is even funnier. This Globe Theatre Model can be printed out on paper and assembled. The Virtual Globe Theatre is an in-the-round tour of the theatre, with embedded videos to better explain each part of the venue. Still afraid of Shakespeare? Check out the TED Talk video What would Shakespeare Think of Us? in which Dan Poole and Giles Terera discuss Shakes-spism: A highly infectious, extreme and irrational aversion to Shakespeare (William) and his plays, caused by poor teaching, and bad experiences in the theatre. One way that motivation and engagement are instilled and maintained is to provide students with opportunities to select for themselves the materials they read and topics they research. One of the easiest ways to build some choice into the students’ school day is to incorporate independent reading time in which they can read whatever they choose. Yet this piece of the curriculum is often dropped after the primary grades. Do you want your students to love reading? Allow them to read more. We over-complicate this. We ask students to read, but then we ply them with onerous reading logs or written responses that transform reading into a detested chore. For over twenty years, I taught my students how to read well, but I'm ashamed to admit that I only occasionally inspired a lasting love of reading. Too few students went on to become voracious readers for me to claim success in this regard. But that changed last year when I began to include sustained silent reading (SSR) in my classroom. For many years I followed the edict that independent reading was meant for home, and that it should be recorded in a draconian manner in a reading log. But after experiencing the headaches of these logs with my own daughters, I vowed to find a better way. In prior years, the irony never escaped me that many times during transitional periods, I was forced to admonish students to put away their self-selected books because we were moving on to the next part of a lesson. In other words, "How dare you read in Reading class?" If you’re a fan of the television drama Law and Order, you know that suspects are identified by determining motive and opportunity. We can grow readers by providing these two variables! In my classroom, SSR time is called SQUIRT (Super Quiet Uninterrupted Independent Reading Time). This fifteen minutes, which occurs at the start of each 90 minute block of ELA, is held sacred by providing everyone, including the teacher, the opportunity to read quietly. Students see their teacher, and their peers, as models for reading. Students have immediate access to a wide variety of reading materials. Reading takes on a social aspect when students read together (even quietly) or when students are allowed to discuss selections or recommend books to classmates. The reading session acts as a "palate cleanser," allowing students to set aside the drama of the previous class periods and prime their minds for language instruction. Students build a vast store of vocabulary and subject area knowledge. That same Synthesis states: "Reading results in the acquisition of new knowledge, which, in turn, fuels the comprehension process. Research of the late 1970s and early '80s consistently revealed a strong reciprocal relationship between prior knowledge and reading comprehension ability. The more one already knows, the more one comprehends; and the more one comprehends, the more one learns new knowledge to enable comprehension of an even greater and broader array of topics and texts." The teacher can observe student reading behaviors firsthand. That last benefit is especially powerful. Many teachers use self-assessments to gather initial impressions of students' reading habits and preferences. 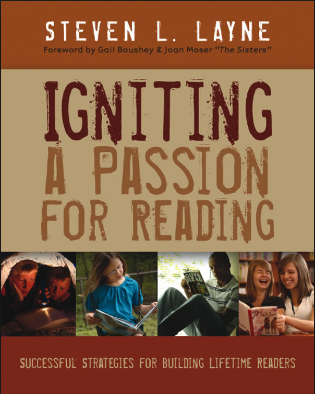 Steven L. Layne provides an excellent self-assessment in Igniting a Passion for Reading, an invaluable resource for those teachers seeking to grow avid readers. But ongoing observation yields equally valuable results. On a daily basis I note what genres and topics interest individual students, and I also note who can persist with longer texts over time. I observe how students' book choices are influenced by those of their peers or by the book they’ve just completed. I can confidently recommend “next-reads” for individual students based upon what I've seen them enjoy. For example, the student who just finished the nonfiction baseball book Why is the Foul Pole Fair? might be interested in reading a DiMaggio biography or some short fiction by Kinsella. So how can teachers make the most productive use of SSR in the classroom? Below I've listed potential problems which teachers often share, along with some suggestion solutions. Students will use this time for activities other than reading. Only if you let them. From the beginning, establish strict guidelines for SSR and enforce those guidelines with vigilance, especially when first initiating the program. Modeling cannot be overemphasized. Some students will come to class without anything to read. Create a “recommended reads” section of your classroom library stocked with popular titles, short stories, magazines, etc. This also serves as an excellent resource for early finishers to find a quick read. How will I know that students are “really reading” during quiet reading time? My administrator doesn’t see the value in this activity. Share some of the quotes on this page, as well as research from the links collected on my original roundtable hand-out. I can't see myself reading with them; it simply isn’t a good use of my time. Students need to see their teacher enjoying literature. Plus, you need time to read widely in many genres and authors in order to confidently recommend texts to your students. We teach according to the standards. Quiet reading doesn’t have a place in our curriculum. Concepts discussed in class can be extended to discussions about students’ independent reading. If the class is studying similes and metaphors, for example, students can be asked to look for these in their own reading. Students can also be encouraged to bookmark examples of writing which they feel to be exemplary in any way. We like the idea of independent reading, and we feel that time spent reading is necessary. But we need help teaching students to read mindfully. For this, I would recommend Doug Lemov's Reading Reconsidered and a method he calls Accountable Independent Reading (AIR). 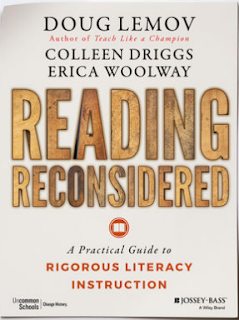 In a chapter titled Approaches to Reading; Reading More, Reading Better, Lemov writes, "Accountable Independent Reading involves students in reading texts independently... and allows teachers to assess whether effective reading is actually happening. Much of the reading students do in school fails to meet these criteria. And, unfortunately, the students reading the least are often the ones who need to read the most." Multiple experiences with AIR (in its various forms described in the book) help students to read more purposefully when reading on their own. See my complete write-up on this invaluable resource. We can’t allow choice reading, but we want to use SSR for assigned reading. How can we ensure that students are engaging with the text? Choice reading is really the point of SSR, but having students read an engaging assigned text is a step in the right direction. Accountability can be ensured through a guiding question, post-its, or a written reflection that allows students to focus on those aspects of the text which appeal to them or challenge them at their independent level. And again, refer to the AIR methods described in Lemov's Reading Reconsidered. What excuse is keeping you from taking the plunge? I would love to hear your experiences in the comment section below. 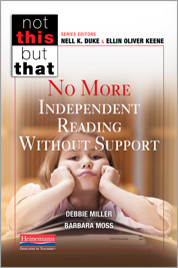 In No More Independent Reading Without Support, authors Debbie Miller and Barbara Moss ask, "What if there was a time when things slowed down? No rotations, activities, or worksheets—just you, your kids, and books. Would you take it?" From the publisher: "We know children learn to read by reading. Is independent reading valuable enough to use precious classroom minutes on? Yes, writes Debbie Miller and Barbara Moss, but only if that time is purposeful. DEAR and SSR aren’t enough. Research shows that independent reading must be accompanied by intentional instruction and conferring. Debbie and Barbara clear a path for you to take informed action that makes a big difference,"
For additional online resources, access the original roundtable document presented at the "Hot Topics by Top Teachers" session at the 2016 New Jersey Educational Association Conference. This post originally appeared as Reading for Real: The Benefits of Silent Reading in the Classroom at my How to Teach a Novel blog.